All right, no more pancake puns. UFC 196 takes place tomorrow night in Las Vegas. #mcgregor #diaz #ufc #pancakeart by #dancakes. I have an awesome job. Commission your own dancakes today. The sky is the limit. 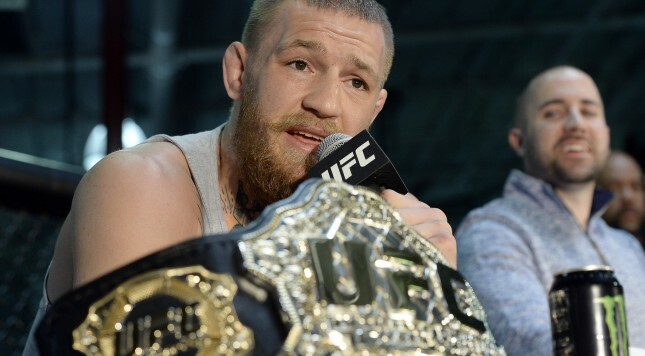 Photo of McGregor in human form by Kevork Djansezian/Getty Images.